Samsung’s Exynos series of mobile processors always gives a tough competition to the Snapdragon chipsets, no matter if we talk about the mid-range or the high-end processors. As an example, the performance of the Exynos 8895 is similar to that of the Snapdragon 835 processor. It is already known that next year, Samsung is bringing the 18:9 display to its A-series devices that include Galaxy A7 2018 and A5 2018. The 3D renders of the devices are already out which give a better look at the design from every angle. If you haven’t checked those yet, you can check them here. With a new design, it is pretty sure that Samsung will introduce a new and updated Exynos chipset. 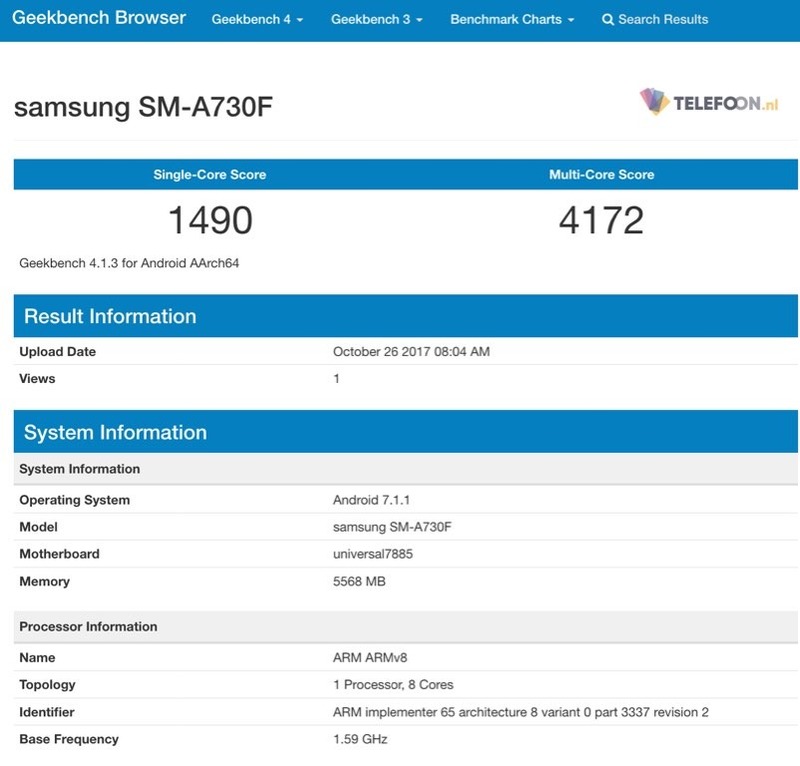 Today, the Galaxy A7 2018 was spotted on Geekbench with model number SM-A730F that reveals the Benchmark scores of the Exynos 7885 which will be present on the A7 next year. So, what are your views on the design and the specifications? Do let us know via the comments section.